Malaria is a malicious disease that takes hundreds of thousands of lives each year. The disease affects parts of the body, such as the muscles, brain, and neurological system. A person who has come down with this illness can die within a few short days. Therefore, it is imperative that anyone experiencing the symptoms of malaria visit a nearby hospital as quickly as possible. A doctor can prescribe special-strength antibiotics and other medications that can combat the malaria before the person loses his or her life. 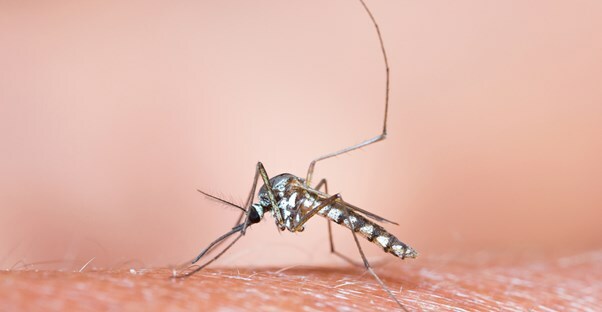 The main cause of malaria is commonly a mosquito bite, although it is possible to contract the disease through a blood transfusion, shared needle, or at birth if the mother is infected. Most contract malaria from an infected mosquito. The mosquito is infected by one of four parasites that cause different versions of the disease. When an infected mosquito bites a person, the disease spreads to the liver and then infects the blood stream. Symptoms eventually begin and they accelerate rapidly. The severity of a case depends on the parasite that infected the mosquito. Malaria also presents itself in one of two different severity levels; the most severe level of malaria can cause death rapidly. What is the difference between benign and malignant malaria? Malaria falls into two different categories: benign and malignant. Benign malaria is not as severe as malignant malaria, but it is still extremely severe. A person who is infected with benign malaria may not show symptoms for up to 18 months. The disease could stay in the liver for an extended period and not cause any symptoms in the sufferer. Two types of parasites can cause benign malaria. Malignant malaria is the extreme case of malaria that can kill a person almost instantly. Malignant malaria does not have a lengthy incubation period. A person who is infected with it could start to show symptoms within 90 days. The symptoms are usually severely painful and serious. Four main parasites cause malaria. Plasmodium malariae is rare, and it is responsible for causing some cases of benign malaria. Plasmodium ovale is a parasite that can stay in a host’s body and remain dormant for a long time before causing symptoms. When symptoms do appear from this parasite, they are usually benign symptoms. Plasmodium vivax can nest within a person’s liver for a lengthy period without causing symptoms. The parasite also has the ability to switch back and forth between dormancy and active infection. Plasmodium vivax is, however, only responsible for benign malaria. Plasmodium falciparum is the most dangerous parasite of them all. It is responsible for excruciating cases of malignant malaria. This strain is responsible for millions of deaths that occur all over the world.